With over 2500 members in our online community and daily events, it might be worth joining us to see what it’s all about. For hosting our events, we use the program called ‘Discord’. 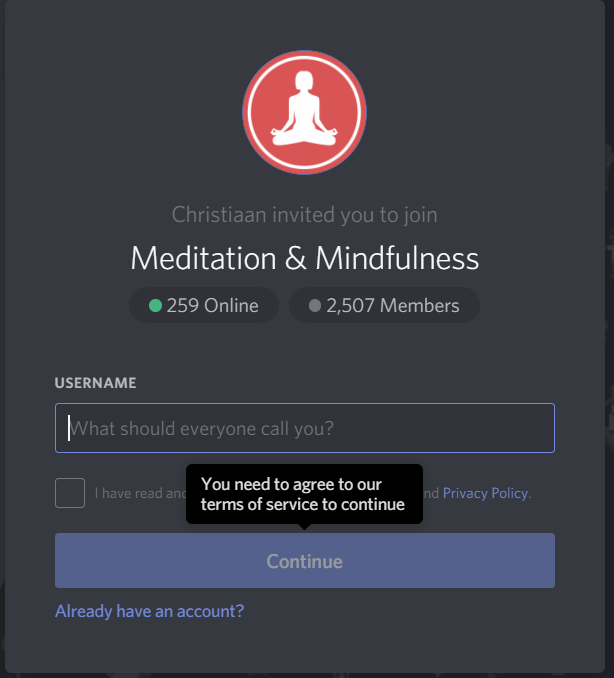 In this post, I’ll explain what Discord is, how to use it and how to make full use of our community. The Discord app works with desktop and mobile platforms, combining the features of a chat lobby, a message board and a VoIP chatting system into one app which won’t take up all the resources on your phone or PC. You will see the following screen if you have never logged in before. Choose a username that fits you and make sure to agree to the terms of services. That’s it! Really, you don’t even need to register your e-mail address right away. Just verify that you aren’t a robot and create an account. Once you filled in the necessary information. 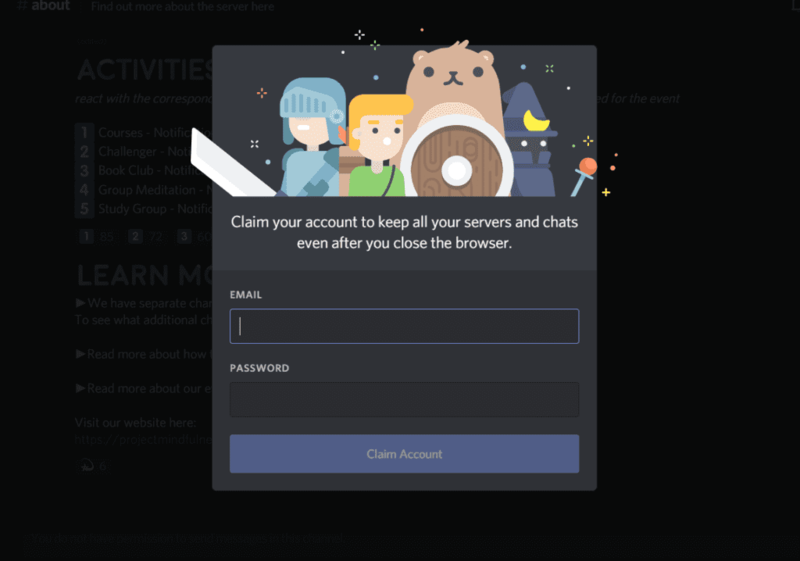 Discord reminds you to claim your account using your e-mail address if you would like to keep the username. 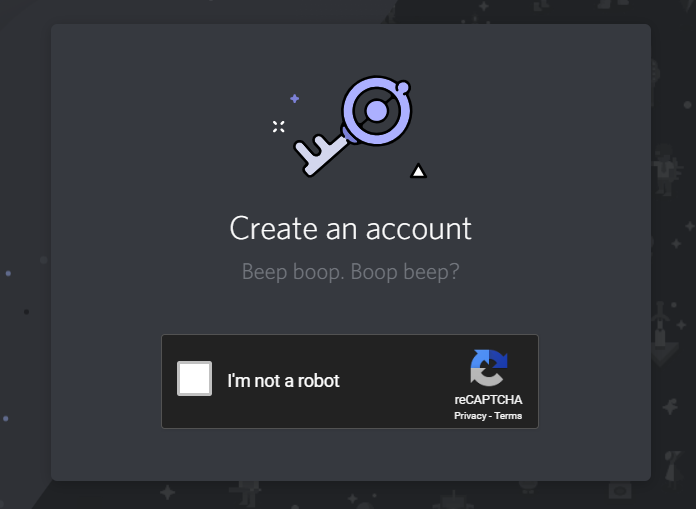 You can simply click next to this pop-up if you do not want to claim the account for now, and simply start to use discord! The following screen will be your start screen (A mobile version will soon be made). On the right side of the screen you can see the users that are currently online. On the left side you see the servers you are in (represented by the icon), next to it are the channels and in the middle is the display of the current channel you are in. Simply click on a channel name to see it’s content. At first, you will have a limited view of the channels. We’ve set this up in the hopes of not overloading you with new information and make the process simpler. After 10 minutes in the server, you will gain access to all common channels. We are a global community to support each other on the path of awakening and awareness. Let’s keep the emphasis on mindfulness, respect and compassion; This is a space for all interested in or practicing meditation & mindfulness and all are welcome. Self-moderation, spiritual growth and personal maturity is our purpose for coming together. Consider any advice you find on this server with a healthy dose of common sense. Please consider seeking professional help if you encounter serious mental issues. 1. Courses – On our website, we aim to offer various courses to help you in your practice. Opt-in to this activity to receive notifications about new course development. 2. Challenger – If you are interested in a little challenge, make sure to opt-in to this one. We have a habit-challenge and meditation-challenge and might present you with new ones in the future! 3. Book Club – Every Saturday we read a book together in the book-club voice channel and post about it in the #book-club channel. If you’d like to read books about meditation & mindfulness together, make sure to opt-in to this one. 4. Group Meditation – Both daily and weekly our staff members will do a guided meditation live in the voice channels. Besides this podcast guests will do a guided meditation too. If you opt-in to this one, you will be tagged every time there is news about the activity. 5. Study Group – Want to dig in a little deeper? With the Study Group we look at various books and texts about meditation, awareness and mindfulness. Opt-in if you’d like to be notified. Last but not least, you will be able to learn more about our server and the specific channels in the section called “Learn More” on the #about channel. Simply click on the channel name indicated in that section, to go to the channel. It might be worth checking out the event-schedule to see if you can mark one of our events in your agenda! When you go to the left side of your screen, you will notice a red block next to the channel name #welcome. This means someone tagged you in that channel. Click on the channel and you will be able to see who tagged you. In this case it’s one of our server bots. It’s a robot that helps us out with some stuff in the server, including making you feel right at home! Click on the #welcome channel and find out who tagged you and what they said. Buddy B has a ‘BOT’ label next to it’s name, so you can be sure that this is not a real human. You will notice it summarizes what we’ve told you in this guide. Speaking of ‘Guides’, we have server members who will welcome you on joining the server and are there to help you out with any questions you have regarding the server. If you would like some help, simple ask your question and use the @ symbol to tag the @Guides. When someone tags you, the message appears with a yellowish tint. On the right side of the typing field, you see three icons. The ‘Package’ symbol is not important for now. The ‘GIF’ icon is to post a moving image and the ‘Smiley’ icon is to use an emoji in your message. We have uploaded our very own emoji’s to brighten (and lighten) up the server and communication. The icon on the left side ‘+’, gives you the option to add an image, sound file or text (Attachments) to your message. Discord will show you a few exclamation marks. 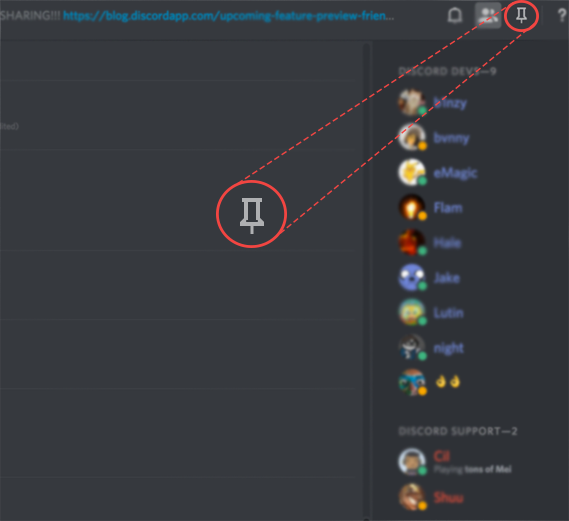 Click them to find out more about how discord works! When a red notification appears next to a channel, it means someone tagged you in the channel. This icon will display the pinned messages of a channel. Make sure to read these to understand what the channel is about. Click on the text at the top of a channel next to the channel name to read the channel description. 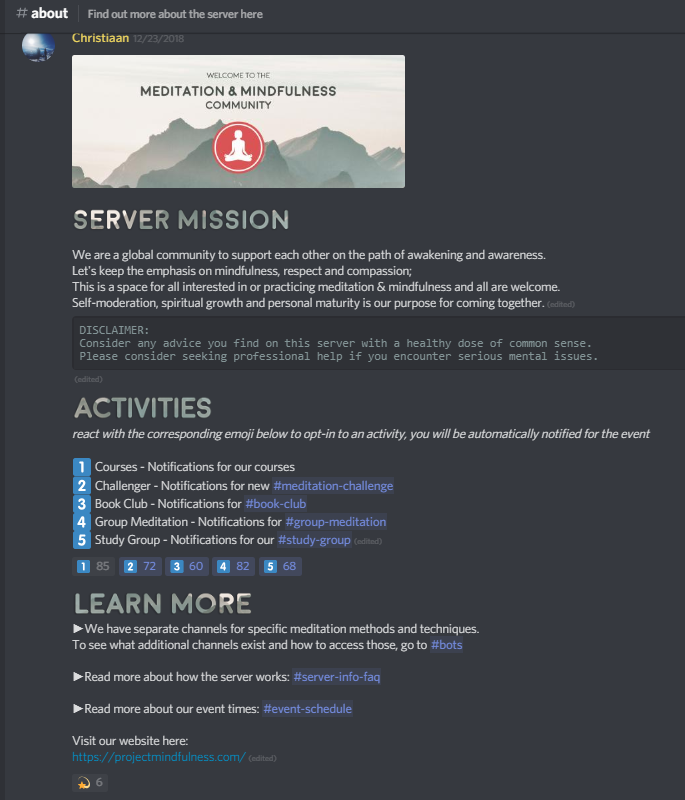 This is a server for support, for growing and for developing healthy habits. We do not encourage dogmatic or unfriendly behaviour, but believe in openness and transparency. We offer our services for free and intend to build resources to support others in their practice online. Self-moderation, spiritual growth and personal maturity is our purpose for coming together. This means that we expect every member to be able to take care of themselves and be responsible. This belief should not be taken to an extreme, but we rather see a situation resolve naturally as opposed to forcefully. We aim to moderate and interact by example; be the change we want to see in the world. We aim to encourage other’s to practice, deepen their practice and share their difficulties. We believe in a healthy community; good vibes, fun, positive re-enforcement and a personal approach. Every new member can become a more happy person when practicing meditation, so let’s do our best to help establish that habit ! 1. You will be notified by staff. 2. When behaviour continues, you will be muted. 3. When behaviour continues, or you were muted multiple times, you will receive up to 3 warnings. 4. After the third warning you will be kicked. 5. If you decide to come back and again choose to not abide in the mission statement, you will be banned. Participation in this server is part of our practice and the path of awakening, let’s use it wisely together! @Admins – Admins are responsible for the server running smoothly and can help you with anything and answer any questions you might have. @Moderators – Moderators help keep the server civil by managing userbase and chat. When a member violates our guidelines a moderator can be tagged. Ask them if you need any help! 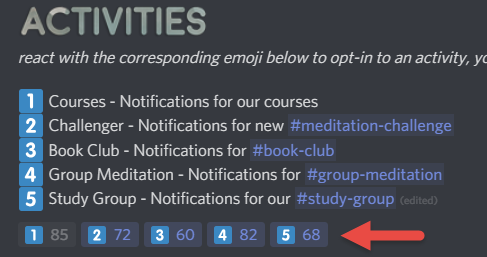 Activity Moderators – Have a question about a server activity? Let these activity moderators know. These are not responsible for the chat and userbase moderation, but rather take care of our server activities. @Buddies – Buddies give support and guidance where needed and help keep the community healthy and friendly. 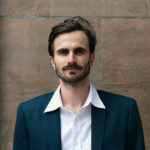 @Teachers – Teachers are able to teach you a specific meditation technique and give Q&A’s or talks to help you deepen your practice. We have a system set up through the Buddy BOT that gives you points, levels andexperience based on your interaction in the server. This means that the more you participate and visit us regularly, the more points you will get. There are 7 different ranks for our users, and some of those have their own chat channel. These are the rank names, which all have their own colour in chat. Everyone starts out as a seeker and will progress to, eventually, Singularity. These are not implications about how advanced or active one is in their meditation practice, simply for activity in our server. A fun way to encourage participation, nothing more. The star system is a way to add a little bit of fun to participating in our meditation challenge. It’s not a judgement on how well or advanced a person is in meditation. Our main channels will be visible 10 minutes after joining our server. We encourage you to click on the channels, their description, and the pinned messages. This can be a fun and easy way to learn what they are all about. They are divided into 5 categories called ‘Info’, ‘General’, ‘Off-topic’, ‘Activities’, ‘Sharing/Creative’. If you would like to access the above channels, assign yourself the proper rank in #bots. You will find more info on how to do that in the pinned messages in that channel. As mentioned above, we have some incredible live events to support you in your practice. Once you opted-in to an activity in the #about channel (or in #bots), you will be notified about activities and when they will take place in #announcements. Alright, so the event is almost starting…. exciting, but where do you go? These three icons are important when you join a voice channel. The above image shows three icons, one of a ‘Microphone’, which simply mutes or unmutes you. Next to it is a ‘Headphone’ icon, which will mute everyone else if you click it. 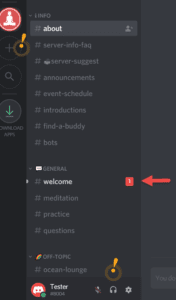 Last but not least, the ‘Cogweel’ icon will show you the audio settings of discord. It’s useful to go through these when you can’t hear others, or others can’t hear you. Voicechannels will show you who is in there. Take a look at the image above. You see a green circle around the person (Craig) who is talking and no circle around those who aren’t talking. If someone is muted or muted everyone else, it displays that icon next to the person’s name. All the people appear below the voicechannel they have joined. Voicechannels have a ‘Speaker’ icon next to it. Simply click on the voicechannel you want to join to enter it. For most activities, it might be clever to first mute your microphone before joining. Most voicechannels have a text channel above it. If people can’t hear you or you don’t want to talk. Use the text channel with the same name!